May 1st marked the last day of official classes and the beginning of Reading Period which is a whole week of unstructured studying time for students to prepare for Final Exams. A lot of final papers and projects have deadlines during Reading Period – so much so that students can even finish all their classes before the official week of exams begin! I am always actively grateful for this week because a lot of universities have classes up until exams which I think is completely ludicrous, unreasonable, and pretty much sets you up for tons of stress eating. Good thing Harvard cares about us 😉 But don’t think Reading Period is a like a week on the beach!! Depending on your schedule, you’re probably living in the library and attending review sessions like it’s your day job. The great part is that by night, there are tons of activities lined up! Whether these activities include going into Boston for movies, study breaks (read: snacks), end of the spring semester formals, or catching up on sleep, Reading Period definitely rounds up the typical semester routine very well. Scott & I go to a sorority formal in Boston! Not very many kids complain about classes ending for Reading Period, but this isn’t to say that we don’t appreciate class. The semester definitely reliably blends unpredictable events into everyone’s life which can make attending every single lecture and (discussion/problem solving) section difficult. Most lectures, however, are recorded so if you absolutely can’t go to class, you can always watch the video at your own leisure. There are even tools out there that allow you to watch videos 1.5x to 3x faster – talk out upping your efficiency, though it can be hard to understand someone talking that fast. 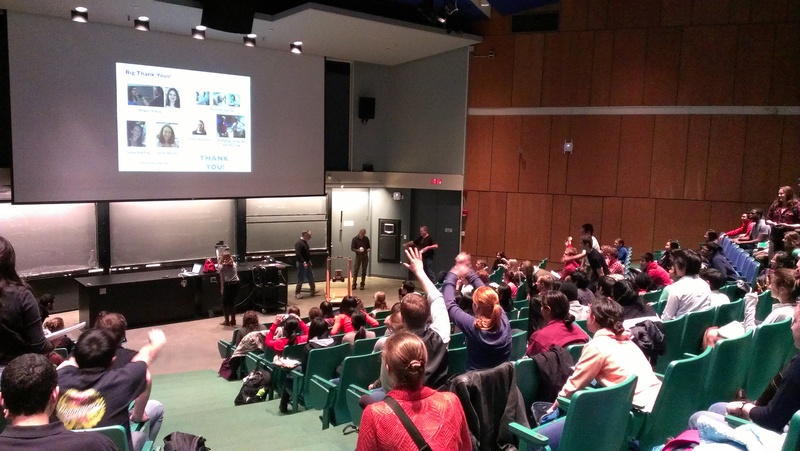 These technological advances can make life easier, but there are invaluable perks about attending lectures. A lot of my classes have “clicker” questions that are along the lines of mini pop quizzes during lecture; students answer questions that are meant to check for conceptual understanding on the spot. These responses not only help professors evaluate how well they’re communicating to students, but also help them take attendance. Besides from the logisitics, there are plenty of sweet incentives to physically attend lecture. The last day of my Physical Sciences class involved professors and teaching fellows using liquid nitrogen to produce vanilla, chocolate AND strawberry ice cream! Also one of my totally boss professors, Pardis Sabeti, catapulted t-shirts from her lab at the Broad Institute into the audience! Next week, I’ll be heading over to the Broad Institute for the first time, as Dr. Sabeti is opening her lab up for a tour! It’s pretty common for professors to go above and beyond here to interact and motivate students. I’m just glad I’m available to take advantage of these opportunities, especially during Reading Period when my schedule is a bit more free. 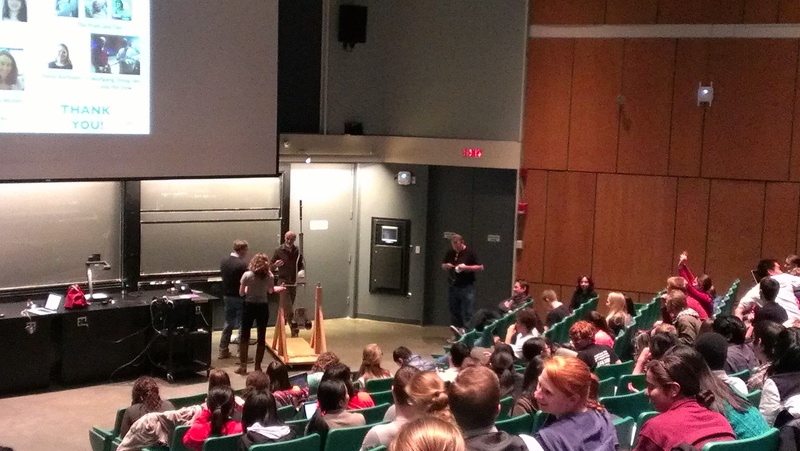 During the semester, Pardis threw oranges to students who bravely answered questions during lecture. For her grand finale lecture, there was a specially made t-shirt catapult! What a crowd pleaser! It’s inevitable that the end of the semester brings a lot of stress with final exams, projects, and papers, but it’s important to realize that we have a lot of accomplishments to celebrate as well! We can celebrate with food, formals, and free t-shirts, but what we’re really celebrating is each other, with a focus on the graduating class. Many seniors dedicate over a year to their thesis. Theses can be either mandatory or optional, depending on your unique concentration/secondary field (major/minor) combination. Regardless, a thesis is undoubtedly a grand accomplishment whether it was mandated or voluntary! Thus, concentrations will hold thesis receptions and presentations to provide opportunities for seniors to rightfully boast about their hard work! 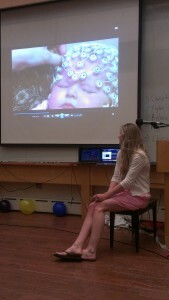 My friend presenting her thesis on babies in movie format! I’m a neurobiology concentrator, a department with an optional thesis. Every spring, there is a neurobiology thesis presentation where seniors voluntarily present their work in a very informal manner. In fact, the goal is to present their thesis in one minute in any kind of format! Students can either go the traditional route and speak with a powerpoint guide, but students have also written poems and made movies to share as well! Each student is presented with an “award” that’s something along the lines of “best thesis with the cutest subject” (babies) or “best thesis research location” (Italy). Don’t be too quick to brush these awards off as jokes though! A lot of them come with monetary prizes, such as the prestigious Hoopes Prize! The end of every semester calls for a celebration honoring our hard work. This semester is a bit special because in light of recent tragic events in Boston, it also seems imperative to celebrate Boston. Other bloggers and I have mentioned before that’s it’s a tad difficult to motivate Harvard students to get off campus because there’s always so much to do on campus and because it’s like we’re constantly living in a time crunch. However, when you have tickets to an NBA playoff game, you get off campus without hesitation! My roommate scored amazing tickets for the both of us to the 4th game between the Celtics and Knicks. It was a crucial game for the Celtics since they lost the first 3 (of 7) games in the series, so my roommate and I made sure to cheer extra loud, especially in overtime when the Celtics pulled through for their first win in the series! I have to admit I’m pretty much a fake Celtics fan (being from Southern California and all), but this didn’t stop me from constantly bragging about my attendance to an NBA playoff game. Campus is less than half an hour from TD Garden which is a great arena for not only sporting events, but also music concerts and much, much more! I can’t believe it’s taken me 3 years to make it out to TD Garden, but I’m beyond glad that I can check that off my bucket (grucket) list! I hope this blog shows you that Reading Period is really fun and a week to absolutely look forward to – prefrosh, I’m really excited for you! – but remember that fun is exhausting too, so it’s also critical to balance with work. Kind of a lie, since my work thus far has been pretty fun. This semester, I took my favorite math class ever: Math 19a, modeling and differential equations for the life sciences. The majority of topics we covered had direct, real world implications. It’s a course that’s offered every semester and this semester had an (abnormally?) low enrollment number which catalyzed a really close pset (problem set) group aka new friendships! We had 2 exams during the semester and instead of a typical final exam, we had a final paper. I know it sounds crazy to have a math paper, but it’s probably one of the best works I’ve produced here as an undergraduate. My topic focused on modeling the periodic outbreak of whooping cough and although putting numbers and equations into written words was a new challenge for me, I’m proud with the finished project I submitted! The day after my math paper was due, I had an exam for my Genetics class (the class where they catapulted t-shirts). If you’ve been counting, that’s 2 classes down! I’m almost ready to submit my final paper for my Dopamine junior tutorial, bringing myself around for my Spanish research paper, and then I have a few days until my Physical Sciences exam on the last day of finals (May 18th). Between studying, I’m going to try to pack so I can avoid what happened at the end of sophomore year. When school finally ends (insert bittersweet feelings here), I’ll have a few days to get myself together and then I’m leaving the country for the entire summer! I don’t think I’ve posted a blog about my plans, so I’ll keep you all lingering until next time 🙂 Wish me luck with my last week of junior year! Definitely the most popular question ever. I remember feeling how Harvard admission seems like a grand impossibility! Like I needed magic on my side or something – but it’s not! Getting admitted (to colleges in general) is a lot of hard work and dedication to both yourself and your application. Commit to EC’s that you enjoy and that portray your interests well. These interests don’t have to necessarily connect, but they tend to anyway. Many students tend toward leadership positions in these EC’s because they’re so passionate about them and find that leading these organizations and implementing their ideas for change would be beyond an honor. Doing well in school goes without saying – this goes for standardized tests too. Doing well is important, sure, but it’s not the end of the world if you’re not perfect! I think my biggest piece of advice is to start your application early!!! 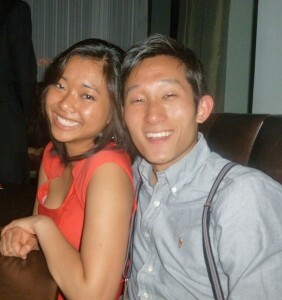 Good luck for your last week of junior year, Jeanie! Also have lots of fun during summer. We should always work hard and play hard. Congratulations, you’ve become a well-rounded student at Harvard!